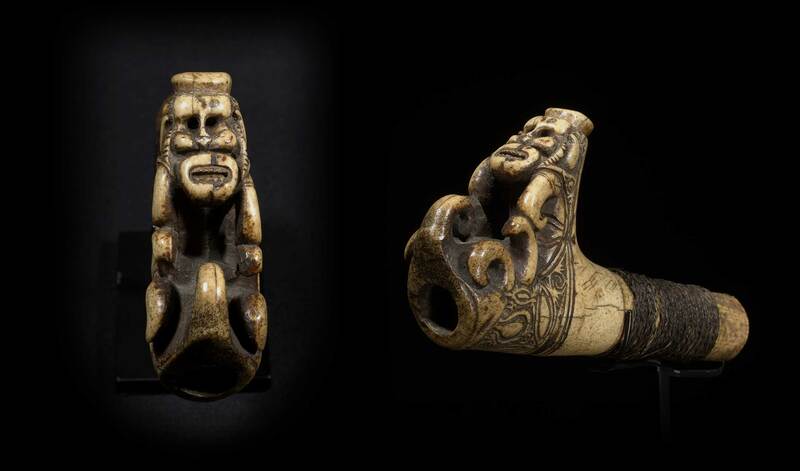 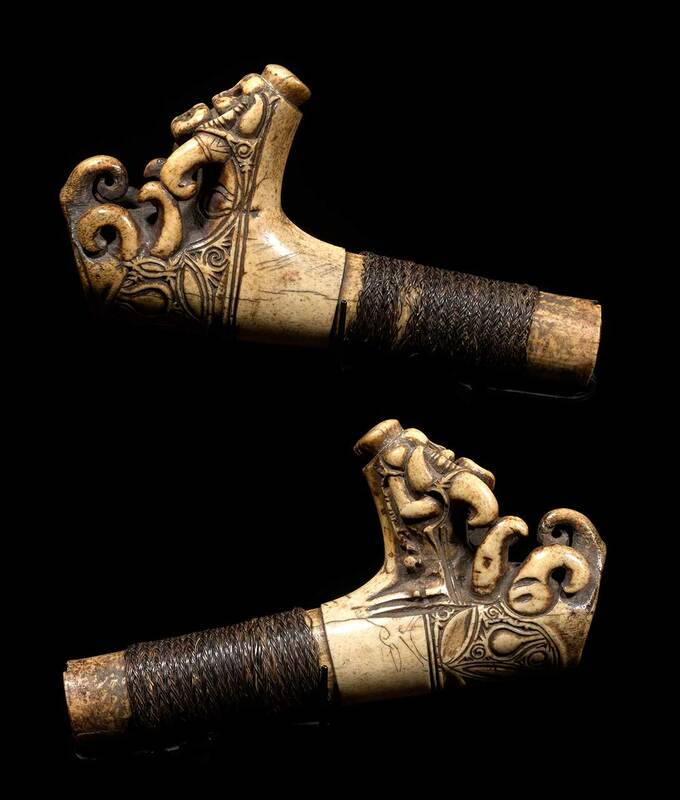 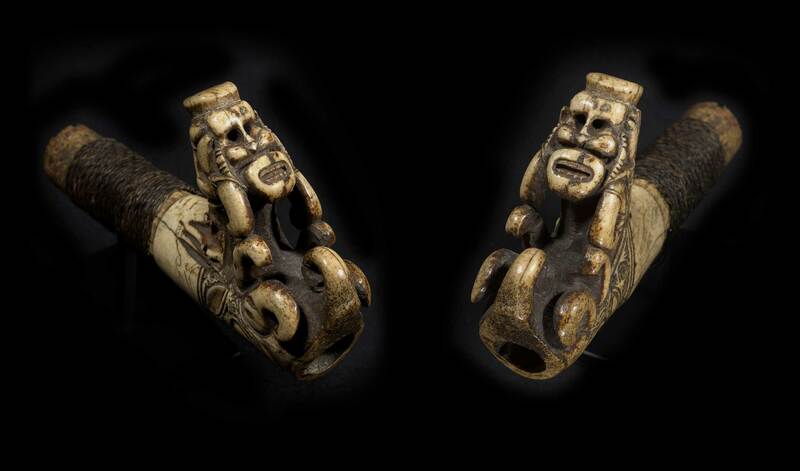 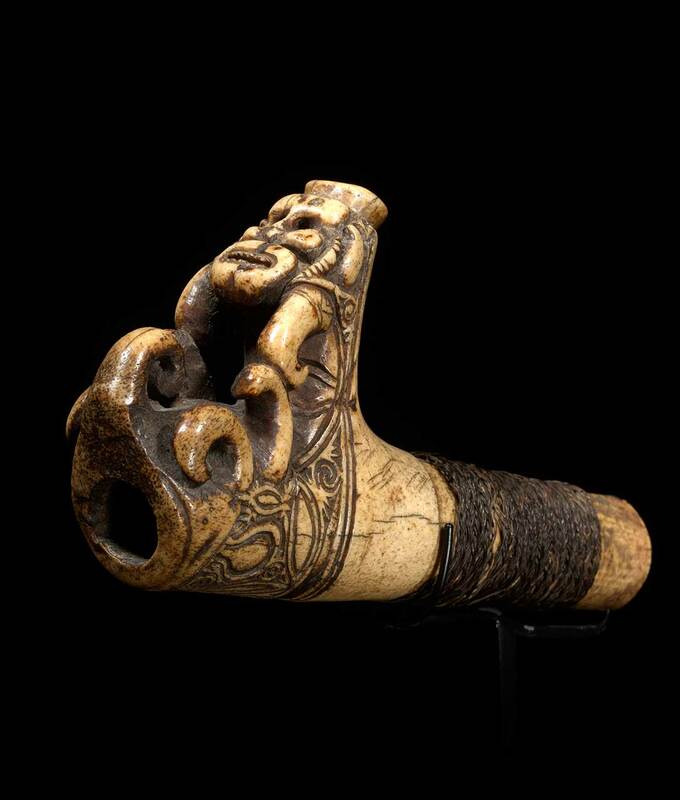 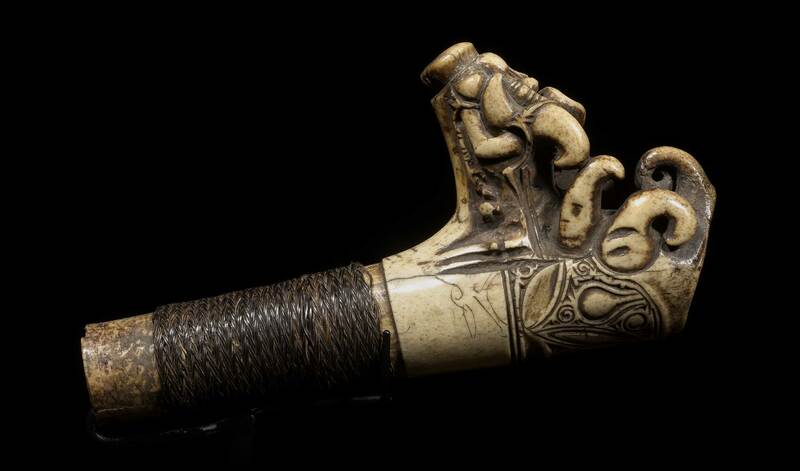 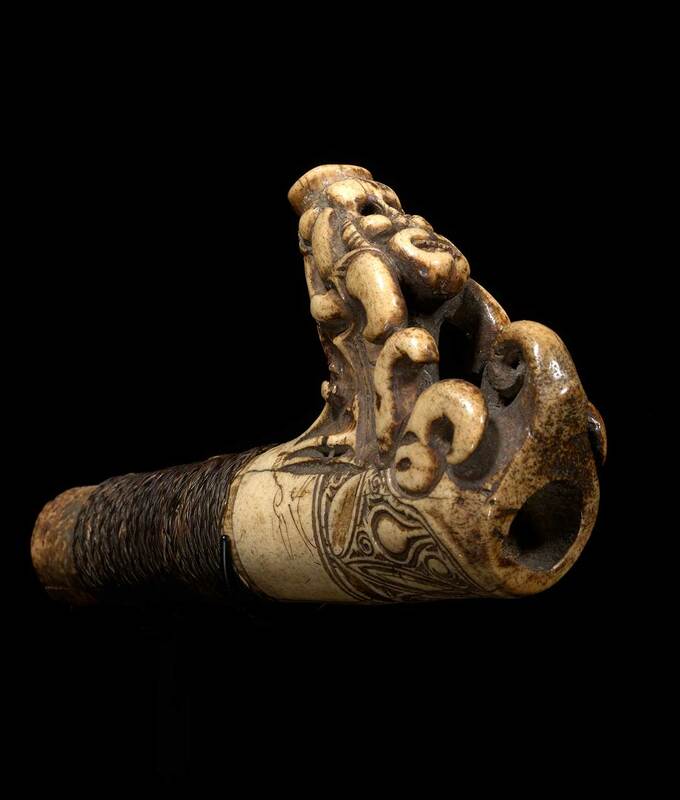 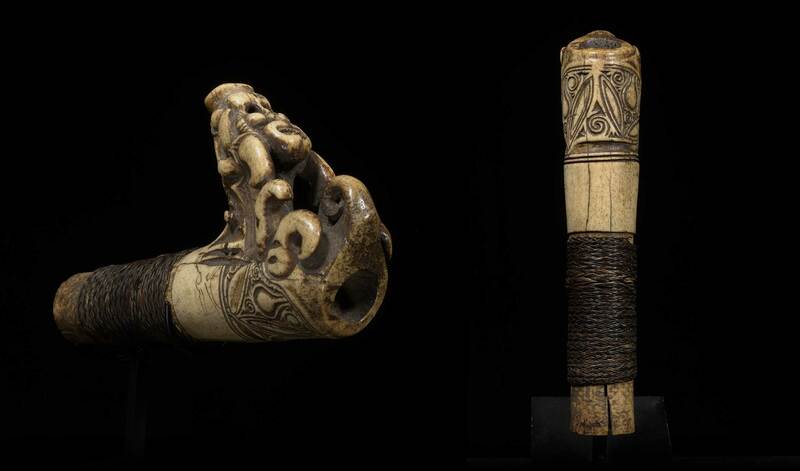 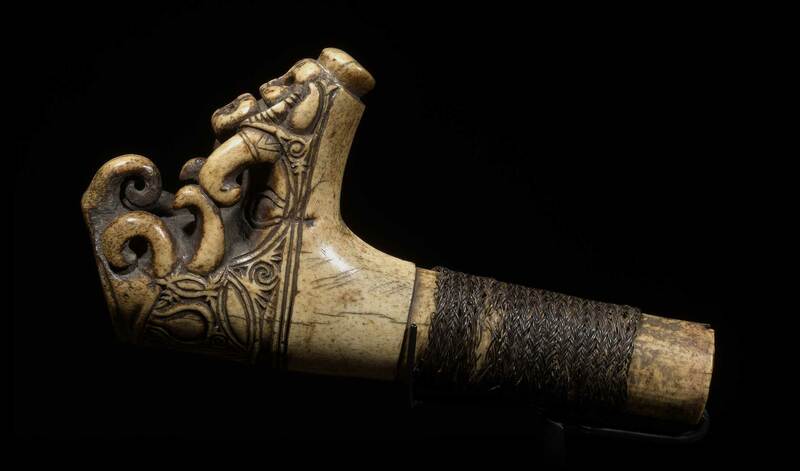 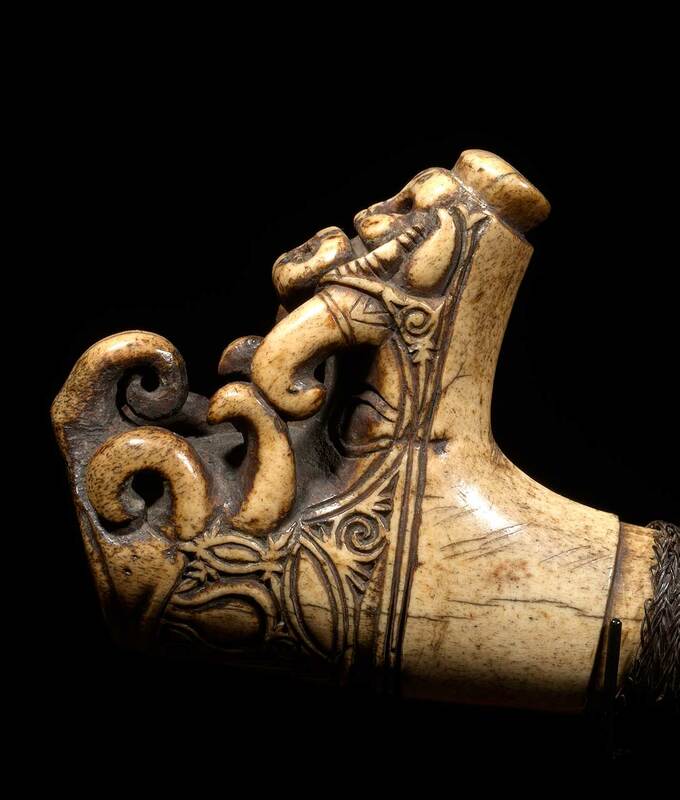 The Dayak, known for their delicate and intricate carving abilities produced these detailed sword handles out of deer antler. 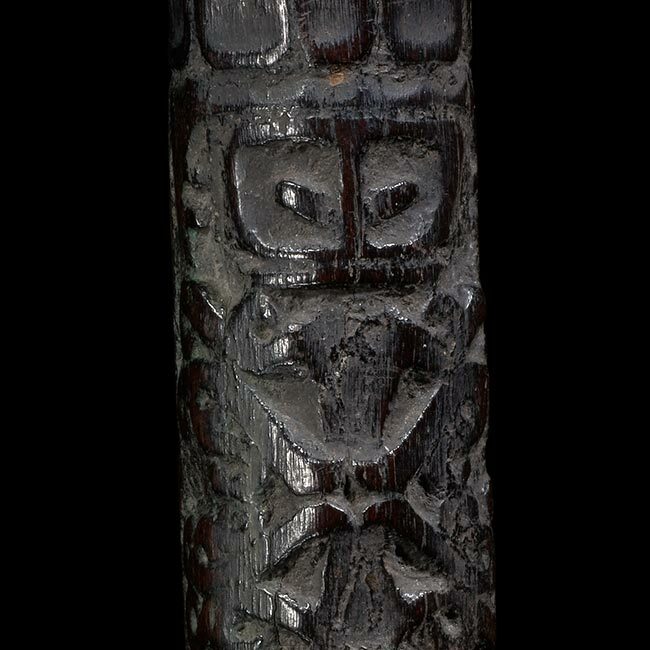 The decoration on this example is exquisite. 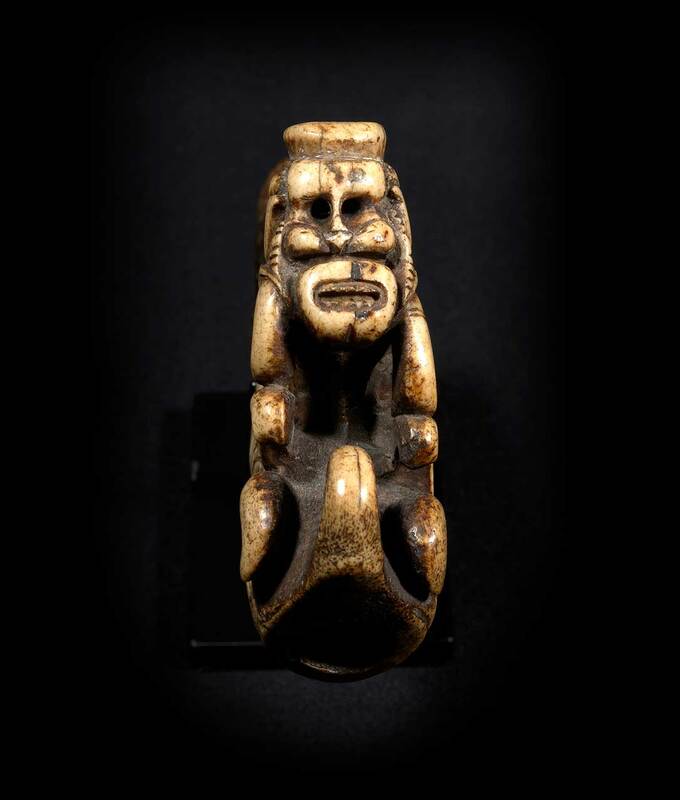 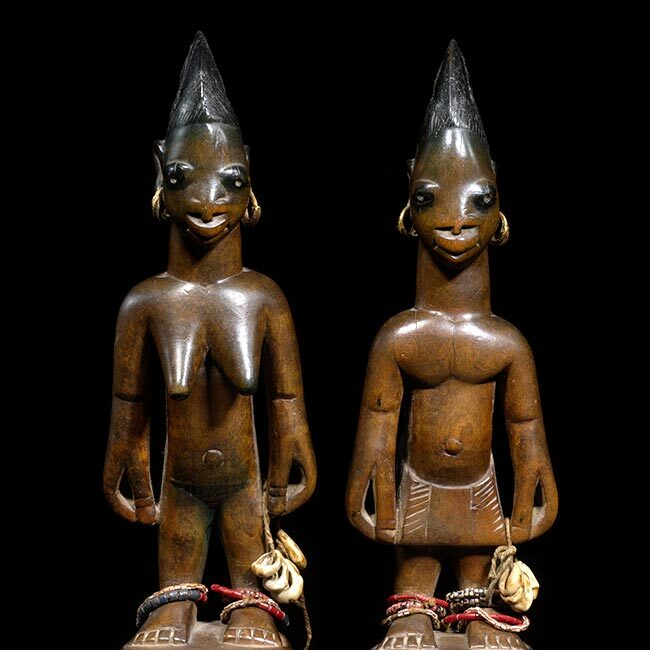 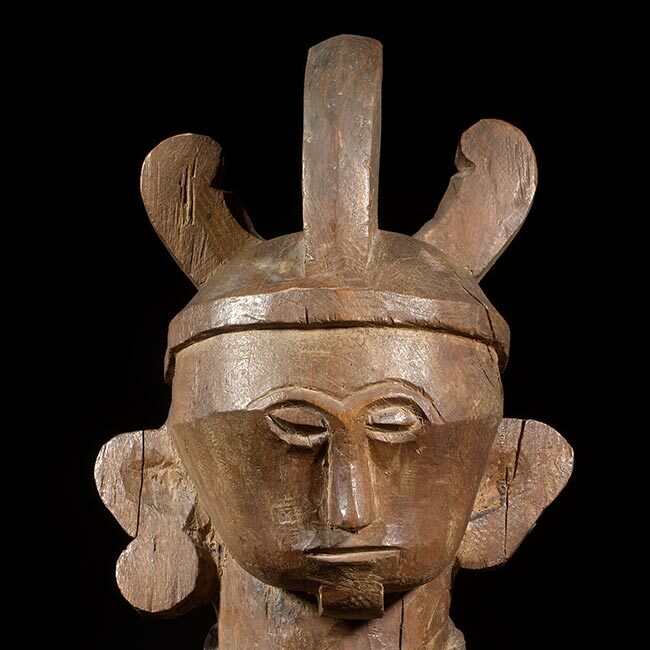 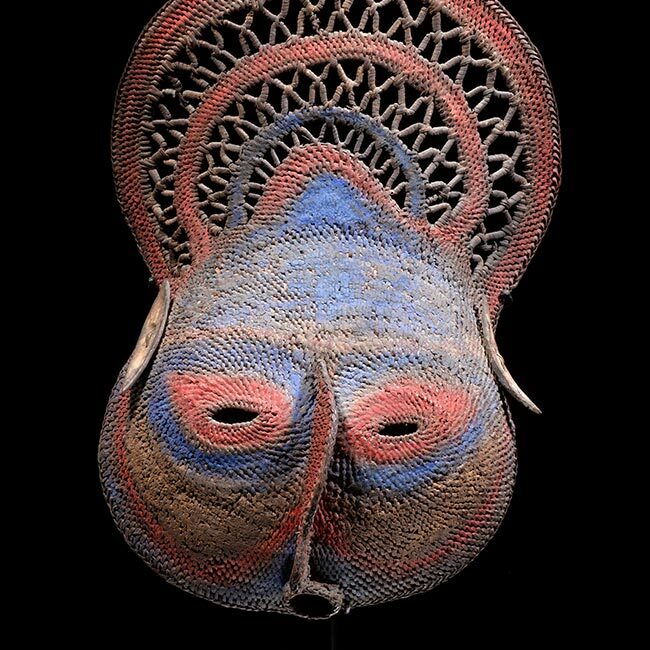 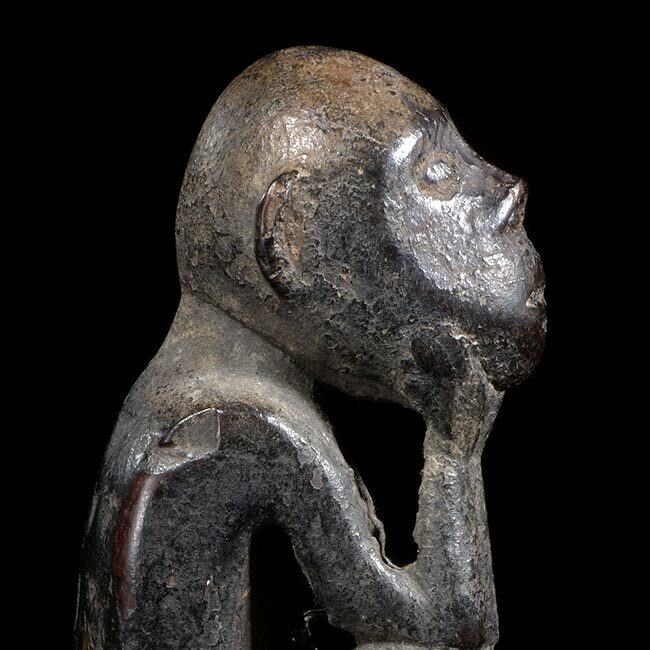 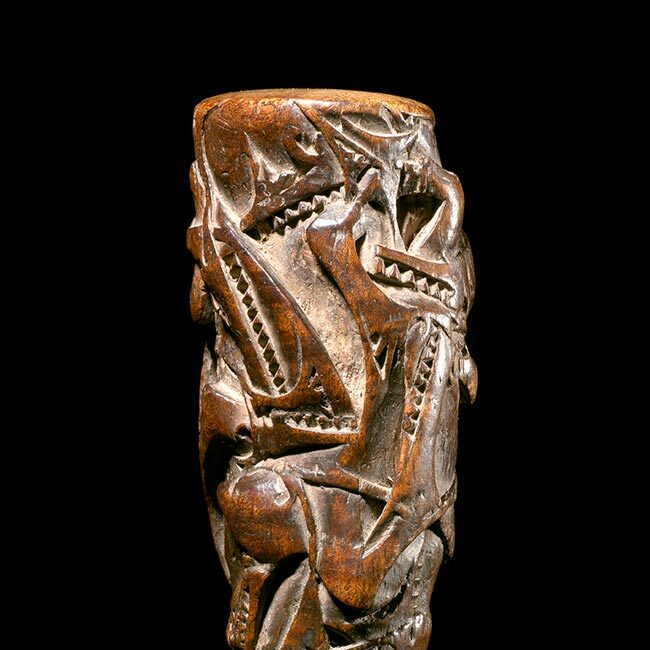 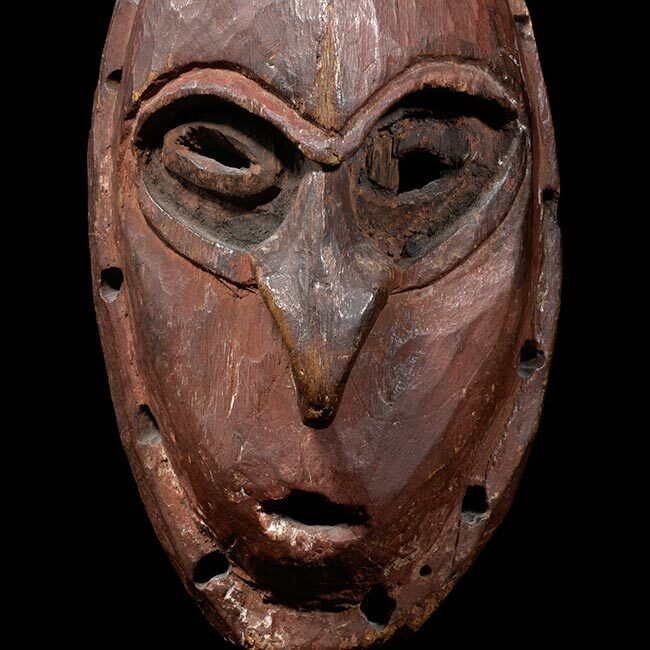 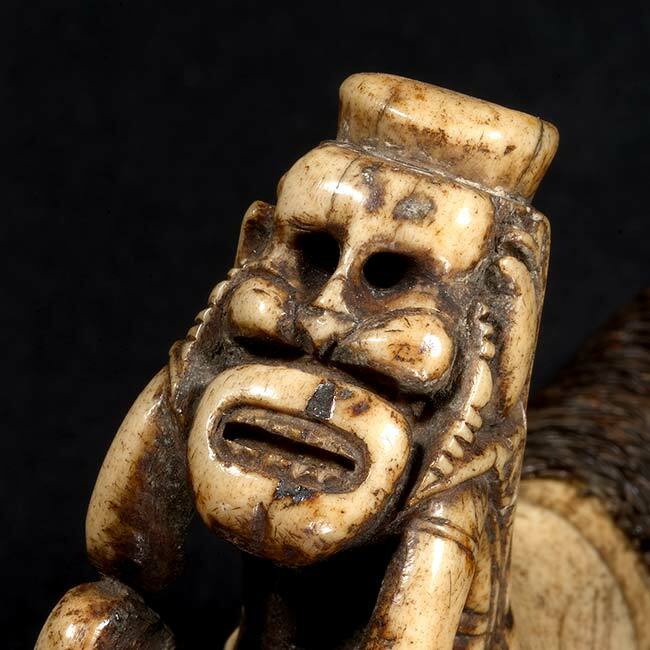 The skull like human face with open mouth and carved teeth and the stylized limbs are powerful in nature. 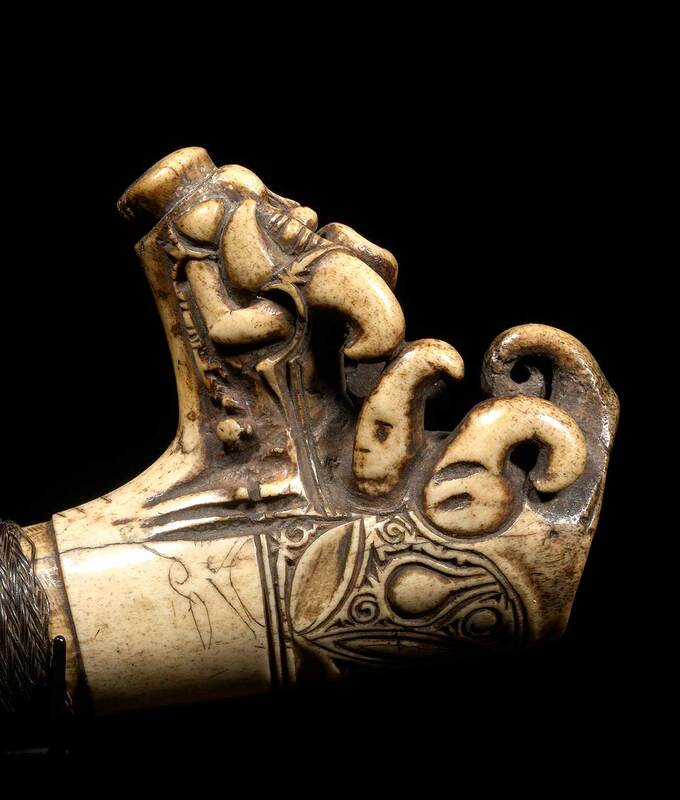 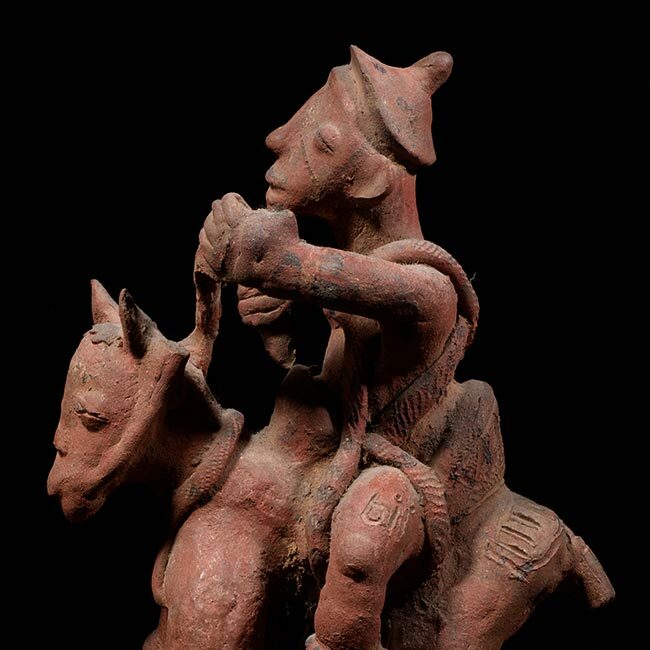 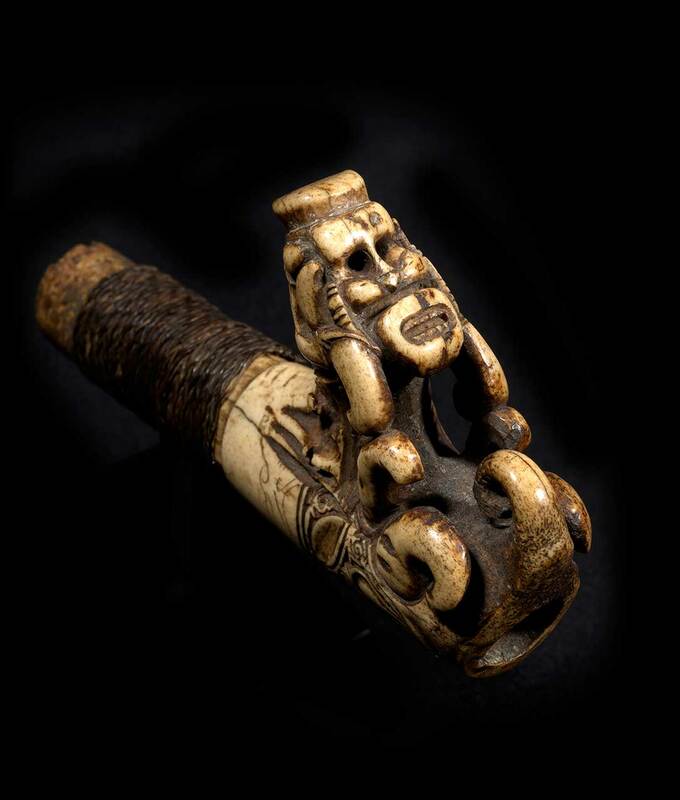 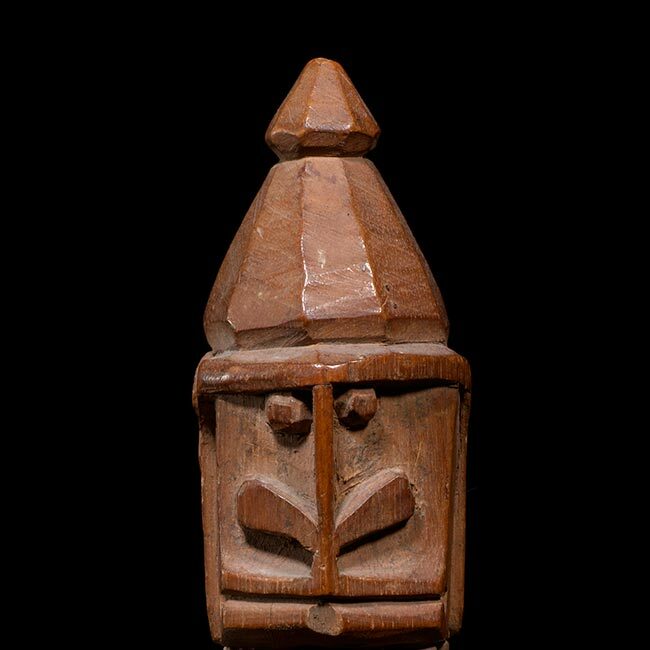 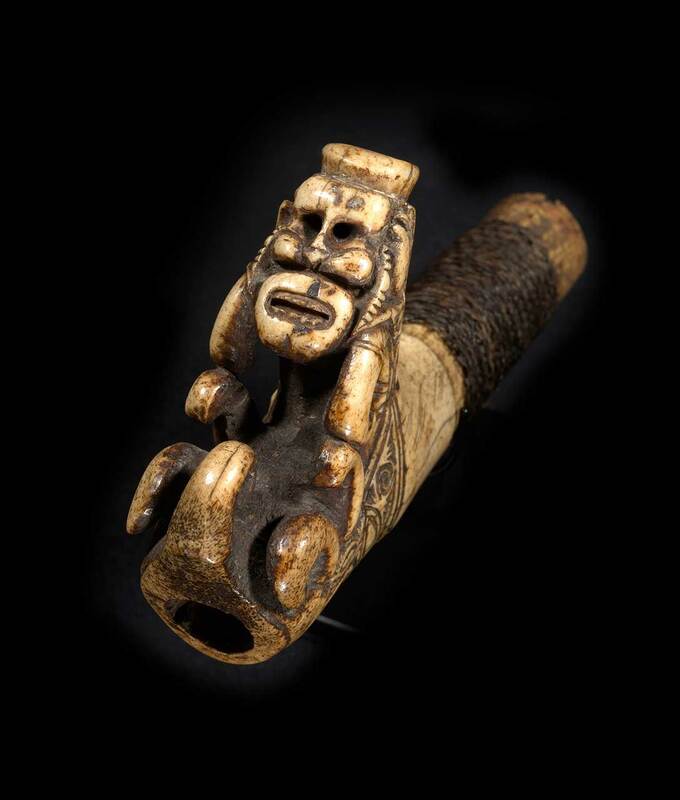 Other symbolic decoration is found surrounding the handle, each carrying a symbolic meaning. 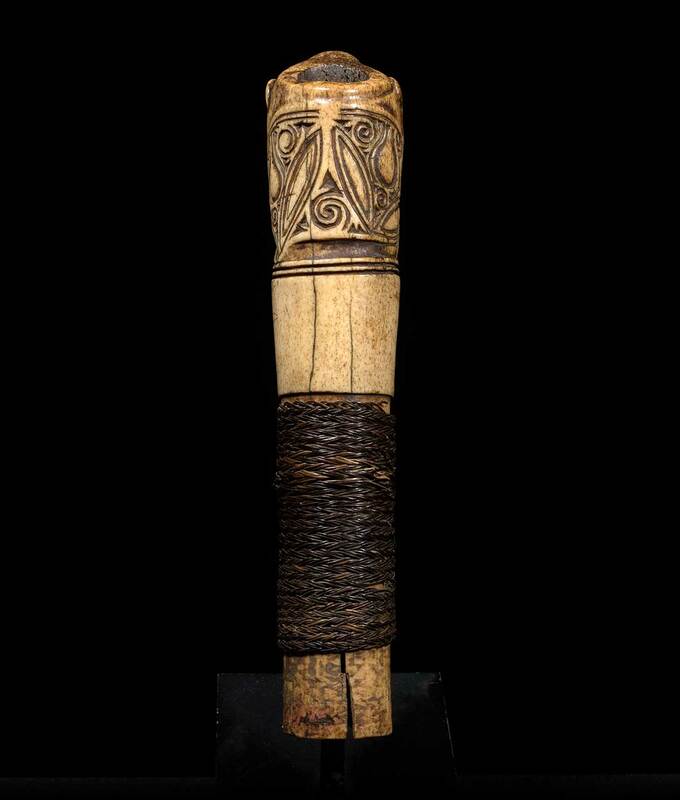 The hilt is bound with a woven rattan fiber.